First, I would like to thank everyone for participating in this contest. We received way more entries than I had anticipated, which is awesome! Many of you were one fixture or projector away from being 100% correct. I received a lot of "BMFL" answers but many didn't identify if it was the WashBeam or Blade. Also, the Barco HDF-W30 and FLM-R22 projectors look identical, so that was another common mistake. Projectors: Barco UDX-4K32, Barco HDF-W30, Barco HDX-W20, and Epson Pro L25000U. Finally, we had a few people get 100% of the answers correct….and the randomly selected winner is……Ethan Neuway! Like we said in the post, everyone is a winner. We will be sending all participants who emailed us a gear list a 4Wall Road Case 16GB Flash Drive. With 4Wall recently adding video gear to their rental inventory, I put together a team that would be able to pull off a photoshoot for some marketing content. At first, I figured a few fixtures, a couple projectors, and some haze would be fine. 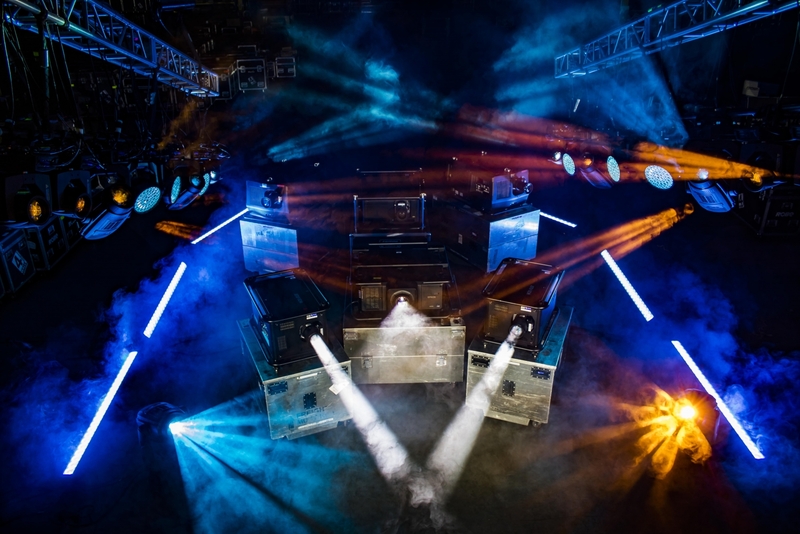 After talking with Cross-Rental Manager Collin Barnes, who was going to program the lights for me, we ended up building a rig with over 25 fixtures and 6 projectors. Was it overkill for some photos? Probably. But when you have some of the best lighting and video equipment at your fingertips, you have to go big! What gear did we use you ask? Well, let's have some fun with those answers and win some swag while we're at it. 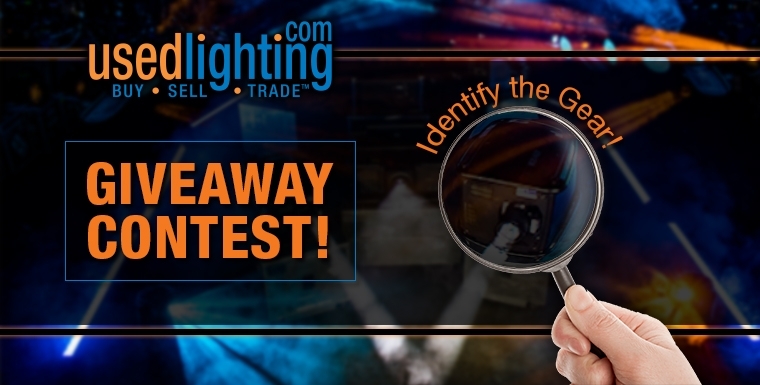 All you have to do is identify the 8 lights and 6 projectors to win a 4Wall backpack, 4Wall mechanics gloves, 4Wall t-shirt, Used Lighting t-shirt, and more! We used 28 fixtures total (4 not pictured). Email your gear list to contest@usedlighting.com with all 8 items. The person to send in the most correct answers will win the grand prize. In the event of a tie, one winner will be randomly selected. All participants will not be left empty handed either, so you might as well give it a shot. Good Luck! Contest ends Friday, October 27. You must be in the U.S. to be eligible to win.